Data Integration: How to integrate between Cloud and on premise enterprise applications and maximize the value. Master Data Management & Governance: How to govern enterprise data assets across Cloud and on-premise solutions. Data Security: How to ensure that critical data is safe at rest and in transit. Regulatory Compliance: How to maintain full compliance to regulatory and contractual requirements. Access Control: How to ensure appropriate access controls are in place and only authorized people have access. This session discusses strategies to address these questions and helps align your Data Strategy with Cloud adoption, while ensuring you have complete control of enterprise data assets, and can leverage the full capabilities offered by Cloud. This strategy is based on real experience in dealing with the issues mentioned in the summary. Techniques presented in the paper have proven to be effective, and are aimed at helping organizations avoid the pitfalls due to misalignment between cloud and data strategies. 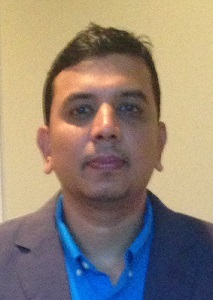 Mr. Sacheen Punde is a proven leader in building effective IT Strategy and Architecture practices. Mr. Punde has held numerous leadership positions in CTO, CIO organizations for global businesses. Backed by over 18 years of experience with diverse technology platforms and business domains, Mr. Punde has been instrumental in helping large organizations transform via strategic use of IT. Mr. Punde specializes in Enterprise Data & Information Management, Enterprise Architecture and building an effective IT strategy aligned with business objectives. As Director of Enterprise Architecture at CSC, Mr. Punde drove CSC towards effective Enterprise Architecture practice, with a targeted focus on Data Management so CSC can leverage trustable data to drive business decisions. Mr. Punde holds a Bachelor’s degree in Computer Science Engineering, and a Master’s degree in Technology Management. Away from work, Mr. Punde enjoys a variety of sports, with keen interest in Cricket, Tennis and Golf.